During January 2017 the rumor mill was Delta would be retiring their remaining 747 fleet by the end of the year. In fact the rumor from Flyertalk was specific, retirement was to be on 12/31/17. Being a year away much could change, but I thought it'd be worth a shot to see if I could book a saver ticket on the last flight. Obviously once a last flight is announced, getting a saver ticket on Delta, or any carrier for that matter, would be next to impossible. My scheme almost worked. 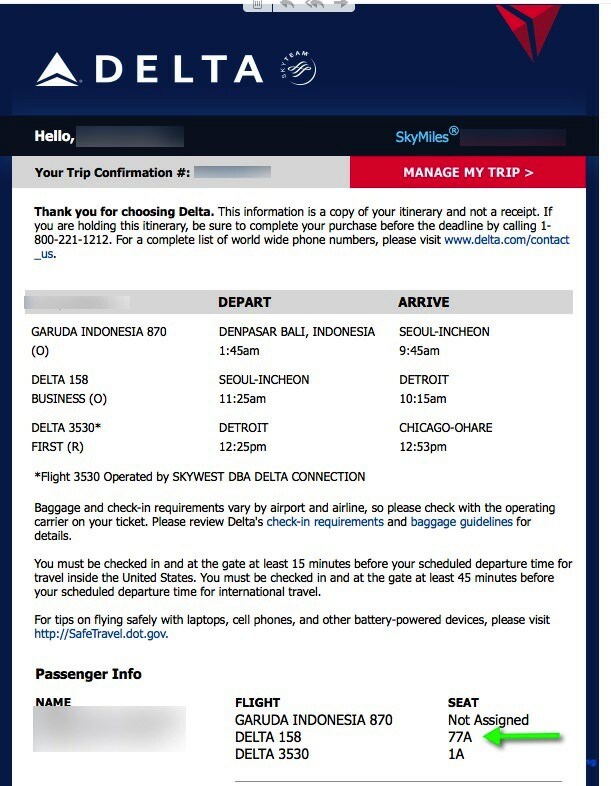 One Saturday early in February I found a saver award from Bali via Shanghai which was on a 747 to Detroit on December 31st. I booked it feeling pretty clever even though it didn't include a flight to ORD. Immediately I set an alert on Expert Flyer to be notified of an aircraft change. Delta routinely makes changes to their schedule on Saturdays. To my surprise the very next day I woke up to a notification that my aircraft had been changed to a 777! This fortunate stroke of luck allowed me to opt out using the 24 hour cancellation rule which meant I'd save the Delta $150 redeposit fee. Back to searching I found a saver award on their 747 from Seoul to Detroit on December 31. Plus I was able to include Detroit to Chicago. The only problem I faced at the time was when you cancel a Delta award ticket, the points don't go back into your account immediately. It takes a couple days, even after pleading with the Delta agent. So with nerves in hand I had to wait 3 days. Apparently no one had the same plan as me so 3 days post when my points hit I booked DPS-ICN-DTW-ORD reserving seat 77A on the 747 flight and set another aircraft change alert with Expert Flyer. I scoured Delta's schedule to find other 747 flights after the one I'd just booked. Flight 158 from Seoul to Detroit was the last scheduled 747 flight from anywhere. Then the bad news. On March 25th I received the alert from Expert Flyer. My 747 was swapped for a 777. Delta moved the last 747 flight up by 2 weeks where it remained as the last schedule international flight, until they had a few more flights to celebrate the last international flight, but that's another story. Knowing Delta's intentions were to replace the 747's with their new Airbus A350, I set another aircraft change alert. Then the good news. On June 17th the alert triggered. A350! 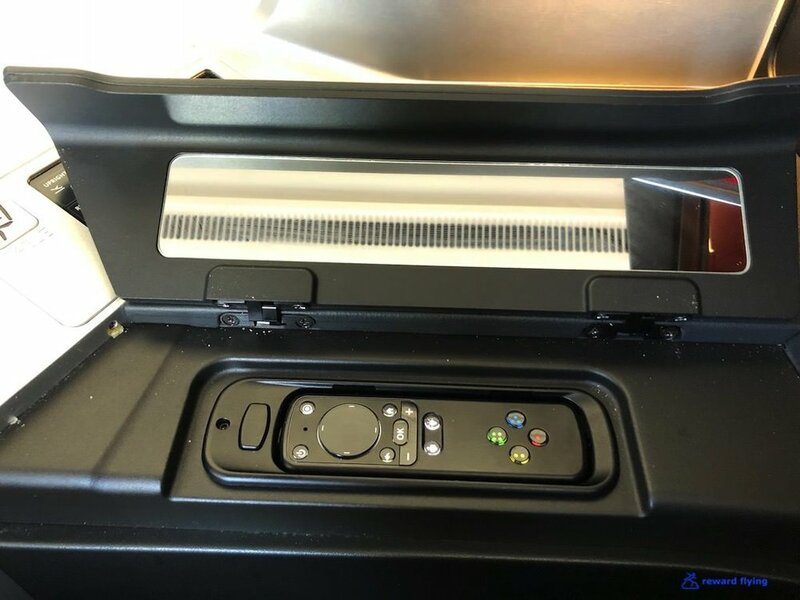 So while I would have preferred a trip on the ancient 747 in the upper deck, I was settling for a brand new state of the art aircraft with Delta's brand new highly praised Delta One Suite. Reward flying sometimes has to make sacrifices! One more note on the aircraft. Had my trip been on the 30th all would have come crashing down as Delta swapped out the A350 for a B777 on this day. It prompting a thank you on Twitter. Garuda was a bit tardy arriving at ICN's Terminal 2. After saying goodbye I headed off to the KE lounge to take a quick shower. The shower rooms were nicely appointed although now that Korean Air and Skyteam have moved to the new Terminal 3, I don't know if they will maintain this lounge or some other carrier will take it over. Delta flight 158 was to depart at 11:15AM local time. At 10:19 time my phone gave me this message. So departure was now 11AM? I've never heard of a departure advanced. And boarding had commenced when originally it was 10:30. But wait, there is a warning the flight is delayed. Which is it? I headed to the gate. Obviously I wanted to be among the first to board so get some decent photos so my plan to stop and buy some fantastic Royce chocolates was foiled. The gate still claimed a 11:15 departure. But the boarding area was pretty much empty as everyone must be on the plane. Sure enough, everyone was settled in to the new Delta One Suites. 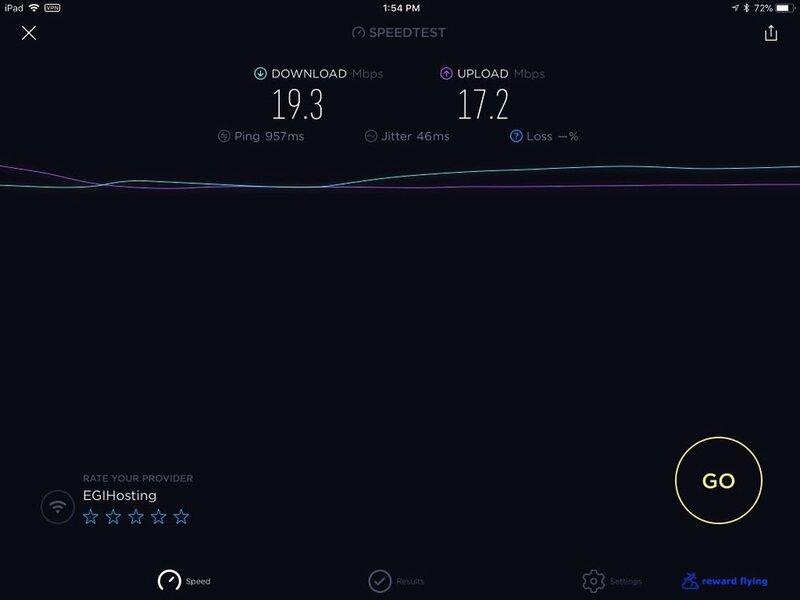 Notice that Delta chose not to install storage bins in the center. 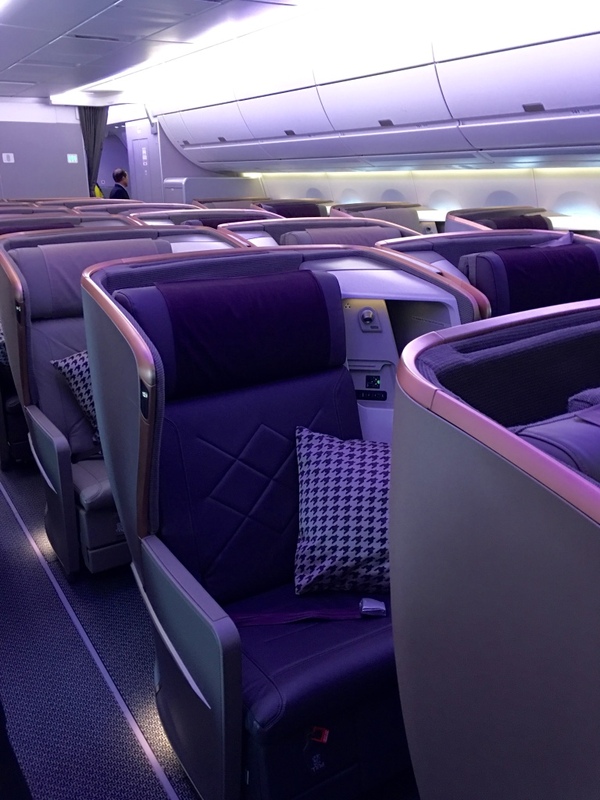 Removal of the bins creates a nice airy cabin, at least in the center seats. While the window seats still require you to stand slowly. Unfortunately Delta needs the center bins. There isn't enough overhead space for 32 passengers. The flight attendants were in unison on this point. Singapore and Qatar do not have the center bins. But they only have 26 and 24 seats in the front cabin respectively. Cathay Pacific and Thai have 32 seats in the front cabin and they installed the center overhead bins. China Airlines and Delta have 32 seats in front and no center bins, however China Airlines has a large storage closet at door one for overflow. Now my flight on CI wasn't full so I don't know how it works, but Delta's was full and there were plenty of complaints. Especially, as you will see, there isn't any storage in the seat itself. Lavatories were standard and not stocked with anything other than cool amber lighting. The Delta One Suite is a Vantage XL product with a door. Vantage XL's can be found on a number of carriers, most notable Qantas and SAS. Personally I really like one of these seats. And it was all in the footwell. Here is the ottoman in Delta's footwell. Notice the floor ramps up so there isn't any storage underneath. 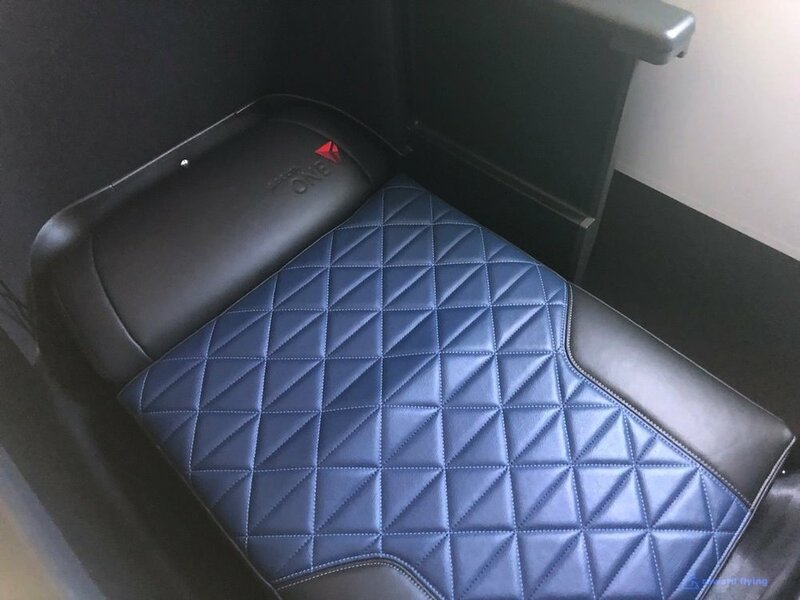 Which means if you extend the bed, anything on the floor such as shoes, computer/travel bags or purses either need to go up in the bins or share the footwell. And there isn't a whole lot of sharing room down there. Qantas seems to have more room, down under. Sorry, couldn't help myself. And SAS has far more room. My winner. When extended into a bed the width of the seat is 22-24 inches according to seatguru. I would be interested to know which seats are 24 inches. While I didn't measure the width of seat 3A, I'd be very surprised if it were 24 inches. I slept okay on the flight. Part of it was the long duration of travel. The Westin Heavenly duvet was comfortable. Delta appears to have really squeezed these seats in. Here is the width to enter the "Suite". However my biggest complaint was the footrest didn't rise high enough to support a partially reclined position. Now maybe the seat was broken, it didn't occur to me that might be the case since the plane was all but a couple months old, but the most it rose to was around 20-30 degrees. Granted the pod was very attractive. I liked the color combinations for sure. Leather, or faux leather is probably not the best choice for long haul flights as it can be cold and typically is firmer than a cloth covered seat. While Delta doesn't have mattress pads, the Heavenly bedding was very nice. Of course there was no place to put these items. Don't get me wrong, these seats are not terrible. But I have a couple of things that keep gnawing at me because they seemed different. Take for example the armrest. It looks innocent enough. But from this perspective it looks to be higher than normal. Why did I take this photo, because it felt higher than normal. And finally, while I can't prove it or really show a good example, it seems the pods are lower to the floor than normal. Maybe it was just me being weary eyed from an overnight flight, but I felt lower in the cabin than normal. This photo is shows my fabulous flight attendant working hard to service the cabin. She isn't a tall woman at all and I'm way down here. So much for privacy in this "fully enclosed suite". To me the door is a gimmick. If it's only chest high on an average height person, what privacy is that? What really surprised me is how heavy the door was. It's solid and I have no idea why because why is it important to have a bank vault door? Who's breaking in? And no it does not fully close. Maybe it is so sturdy because it has to hinge out in case of emergency. Otherwise you release the door from a latch on the side of the pod. On second thought, maybe the door is needed! The Suite comes with an instruction card. While I certainly have my issues with the seat, the good news it's all uphill for this flight from here! Time to go. Amazing A350 wing flex! Some photos of the Seoul area on departure. Amenities stacked on the seat were slippers, a kit, two pillows and the Westin Heavenly duvet. US bound flights don't get the Tumi hard cover amenity kit. You get slippers but no pajamas. I don't get why a 7,137 mile flight from Shanghai to Detroit get PJs, but not a 6,636 mile flight from Seoul. Unless of course the distance cutoff is 7,000 miles, but that's not it because Shanghai to Seattle is 5,122 miles and those pax lounge in Delta pajamas. Sorry I digress, I promised it was uphill. The side table consists of headphone storage, power, seat controls along with an odd upper partial table. Inside the only storage compartment that is doorless are the LSTM headphones on a hook. And hidden back in the corner is a bottle of Evian water. Below are the power ports conveniently placed. The regular Vantage seats have a bad habit of placing the seat controls on the armrest, which means you can constantly rearrange yourself without wanting to. On the XL version Qantas and SAS placed these controls out of the way so you can't accidently touch them. 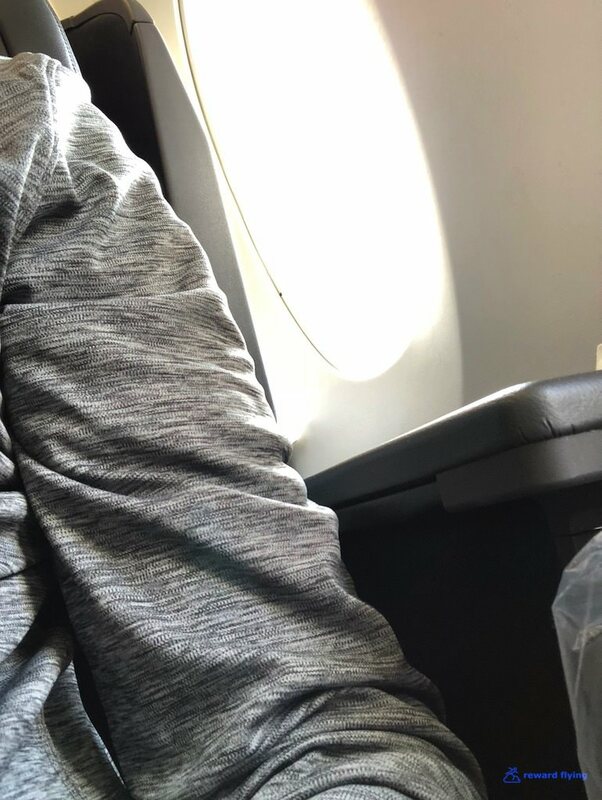 Delta put them back on the armrest where I found a way to move my seat simply by having my arm resting on the armrest. 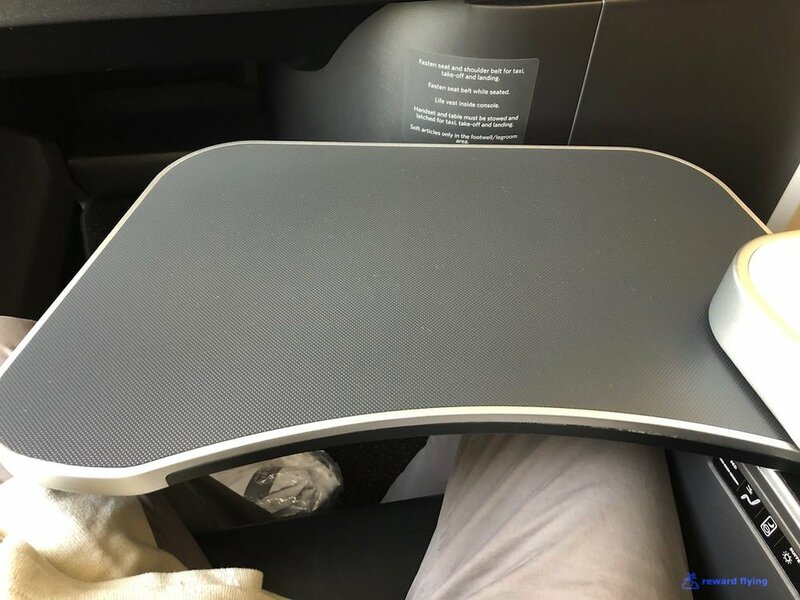 Since the tray is stored in the armrest that area is elevated so you have to fold your arm. Doing so makes it easy to have your elbow hit the seat controls, which I did this numerous times. The armrest folds up for the IFE controller which is only needed for games. There isn't a small display on the controller where you might have the airshow playing while watching something on the fantastic touch screen monitor. Inside the armrest is a useless mirror. The outer wall has a sconce for lighting. Upper air vents! I assume the center seats have vents as well but can't tell from my photos to be sure? The Airbus A350 has nice oversized windows. Delta installed manual window shades that unfortunately are showing some age, after just a couple months in the air. The windows are so big that the large shades awkwardly slide down shifting from side to side. And the pods are getting scuffed up as well, which I guess is to be expected when there really isn't a lot of room to maneuver. Fortunately my AMEX free gogo passes came in handy on this flight. And it was impressive in speed. However I understand there are dead spots in upper Canada as well as over ocean. I was testing this while over Japan. Delta does a cart service for beverages. Kudos for covering the cart with fabric so it looks nice. A narrow wine list didn't offer a full body red, but for a glass with lunch the Rhone worked fine. Apparently it is very popular in France. 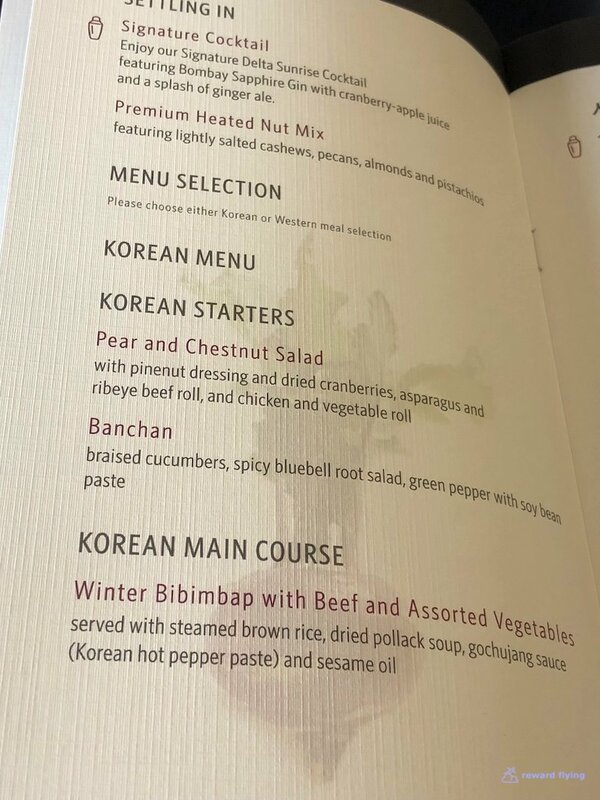 Only a single choice from the Korean side. The Western menu would be holding my choice today. Why not see how Delta cooks their beef? The full size tray is released. Obviously you are in your seat when the tray is out. The starter course consisting of the appetizer, salad and soup was served on a single tray. An interesting appetizer it was. I guess you could call it a surf and turf appetizer. Regardless it was very creative and tasted quite good. Next in the first offering was a mixed green salad that was fresh, crisp and plentiful. 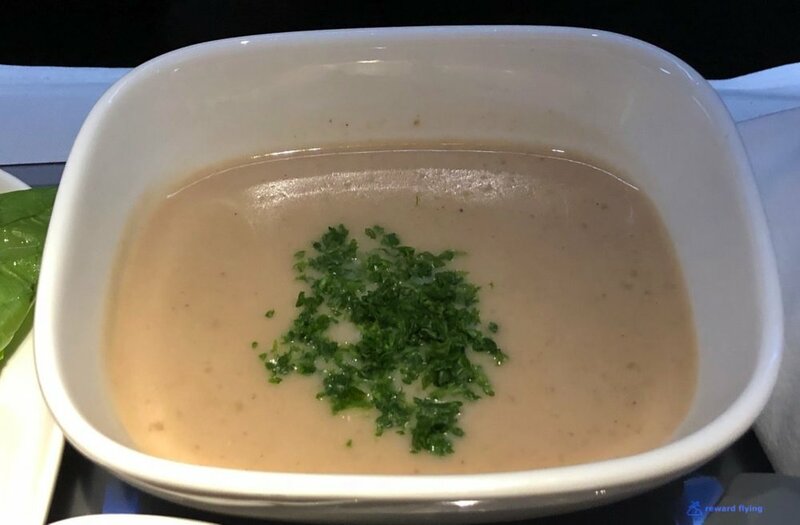 The chestnut soup was rich and flavorful. Then the main course. An attractive presentation. 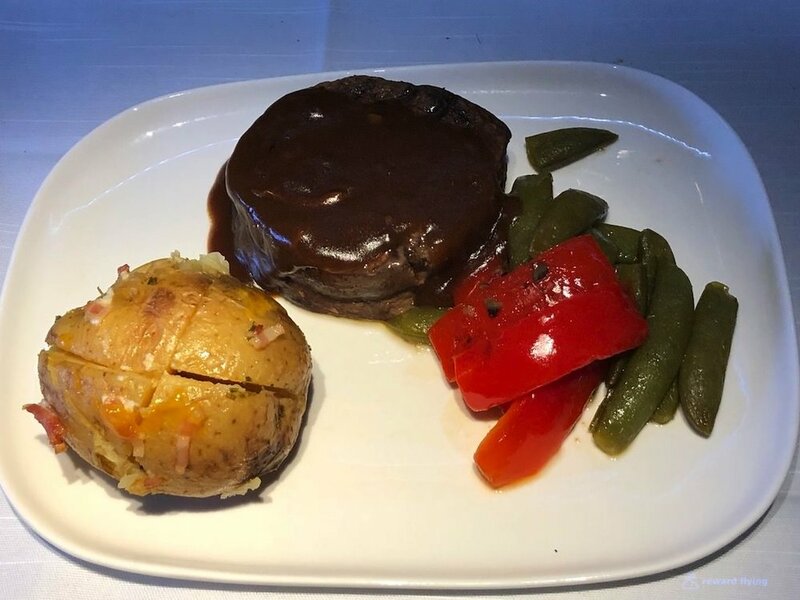 The steak was medium to medium well, probably a little more well done than I like, but not cooked into oblivion as is often the case at 36,000 feet. For dessert Hãagen-Dazs vanilla ice cream, a strawberry tart or a selection of cheeses were offered. After lunch I took a look at the IFE system. Appears we took the avoid Kim Jong-Un route. Already having attempted to watch a few of these unwatchable movies I was left to the audiobook. The IFE screen is really nice. Besides being very responsive to touch, clarity was great as well. 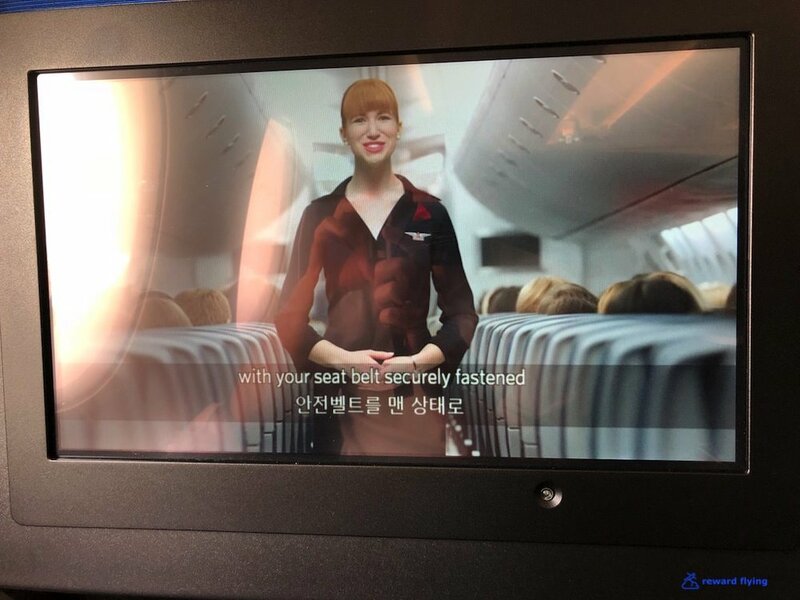 This is with full natural light in the cabin during the safety video. After a few hours I was hungry and decided to try something from the anytime menu. I looked around for the the call button to order and couldn't find it. After a some time I got the attention of a flight attendant and they pointed out where the button is. Click on "My Flight" on the screen and that emoji waving is your call button. The cabin purser on this flight was a lady named Dee. She was outstanding. When she introduced herself at the beginning she apologized in advance if service was slow. She explained this was their second time on the A350 and were still getting used to the galleys. When the flight was over I told her there was no need to apologize as she and her crew did a great job. There was a little hiccup. The flight attendant I flagged down to make my mid flight order was the male FA on board. I asked for a cheeseburger. He responded by making some snarky comment that maybe he could run out and get a burger for me. I said it's on the menu. He said it wasn't. Okay then. A couple minutes later he returned with Dee and apologized. I was armed with the menu showing in fact that was the Mid-Flight snack. It would fall into the edible category, and I didn't get the chocolate. Sunrise over a frozen Canada. Soon enough we were closing in on Detroit and it was time for breakfast. Determined not to have an airplane omelette, I ordered the Citron Teriyaki Chicken with black rice and vegetables. Arrival to a chilly Detroit. The midwest was experiencing a cold snap with temps below 0, fahrenheit. 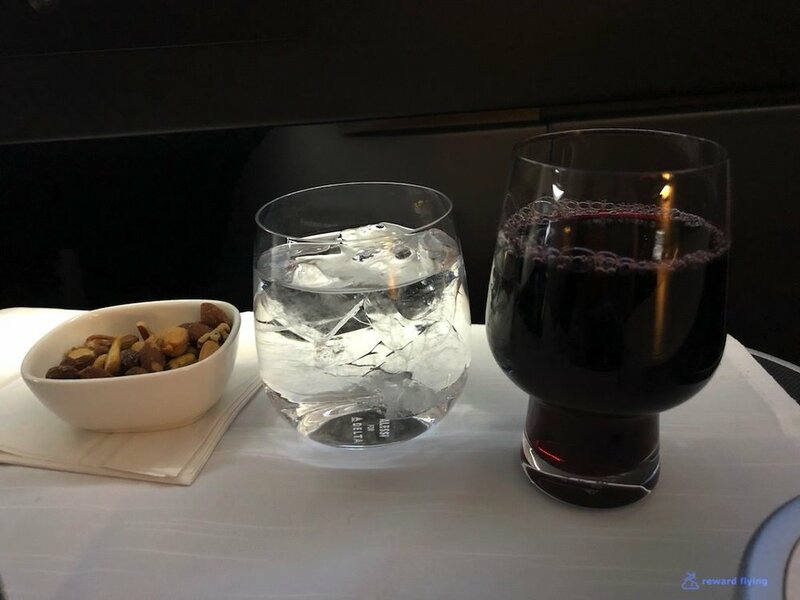 Cost: Since Delta has changed so many things over the past year, without notice I might add, what I paid for this flight was great for me at the time but would just irritate you because you can't get it anymore. As of this writing they like to charge anywhere from 150,000 to 240,000 points for a ride on their "flagship". ✔︎The Delta One cabin was attractive and spacious due to the removal of the center overhead bins. The downside is storage was at a premium. 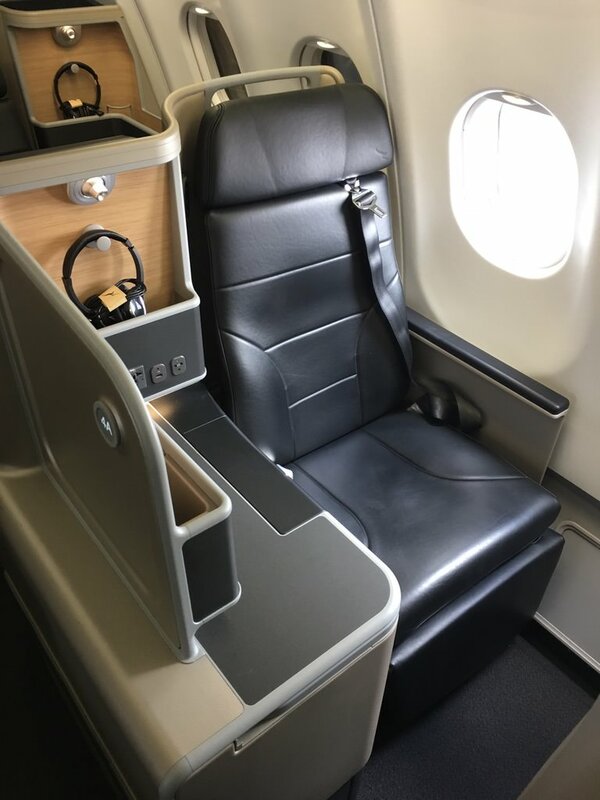 ✔︎The Vantage XL seat converted into the "Delta One Suite" by virtue of adding a door I feel is a gimmick as it really doesn't add any privacy. Beyond that I found the foot room to be woefully small and the seat not all that comfortable among other minor gripes. ✔︎ The amenity kit was minimal but the plush blanket was welcomed. I think a mattress pad would help but there isn't any room for such an item. ✔︎Both main meals were nicely presented. 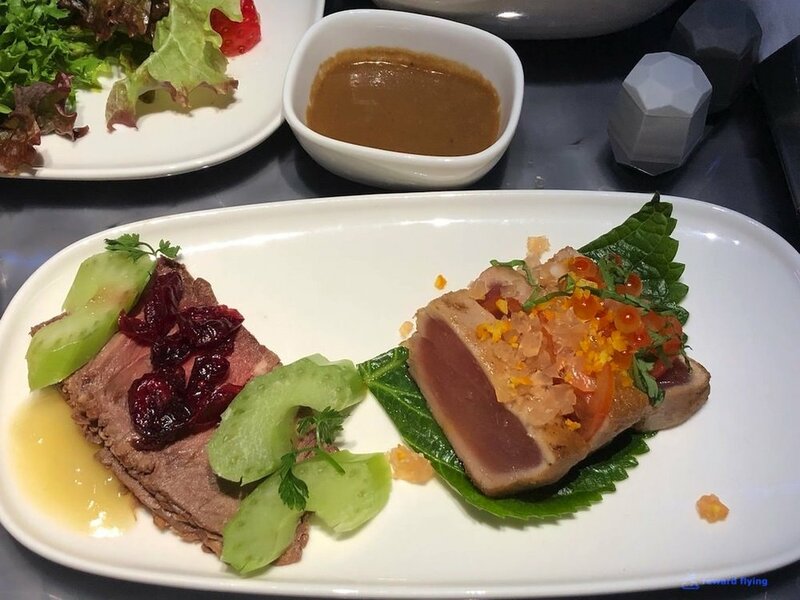 ✔︎The food was very good, surprisingly good for a US domestic carrier in my experiences. However the beverages were pretty average and the selection was poor. ✔︎A nice touch screen monitor with high clarity and responsive touch. ✔︎The crew was great. They weren't super polished like you might find on some foreign carriers, but they did their jobs efficiently and were pleasant at all times. ✔︎A350-9 This airplane is a joy to ride in, especially new ones whose tires aren't even dirty. 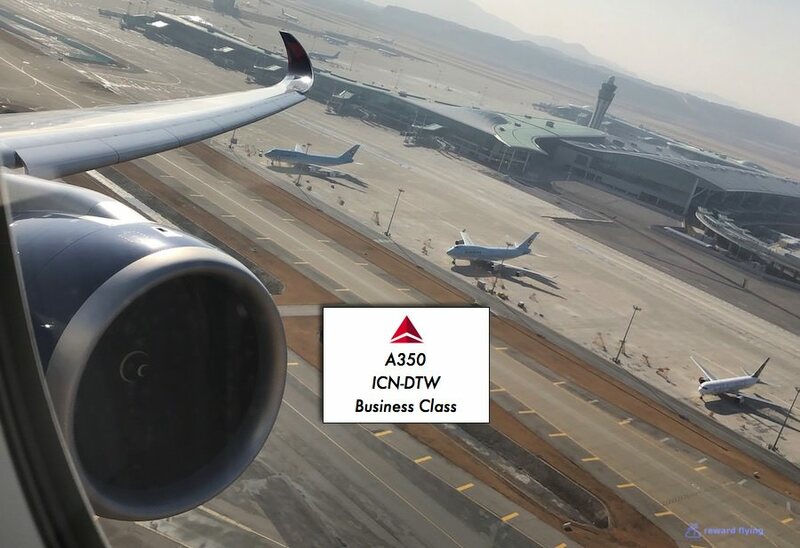 Have you experienced Delta's new A350? Tell us about your experience.